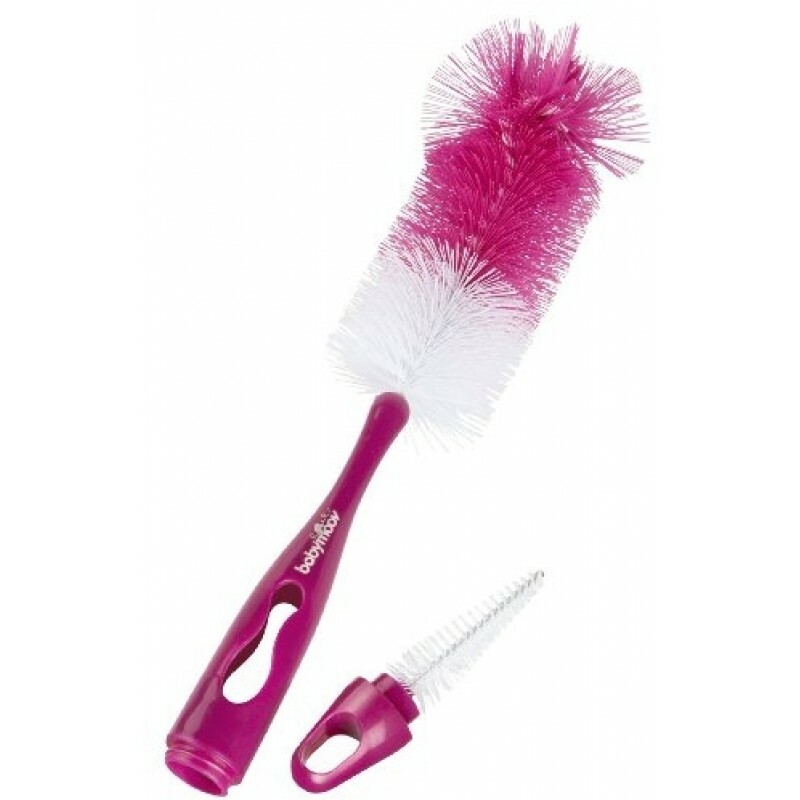 The Babymoov 2-in-1 Bottle Brush is ideal for cleaning baby bottle's. Suitable for all bottle types and perfectly shapes to reach the bottom of the bottle with a practical hook to hang the brush to dry. The large brush head is also the most remote controller of the bottle and cleans them thoroughly and reliably and reaches the bottom of the bottle. A second, smaller brush is located in the handle, which is ideal for cleaning small parts such as teats & soothers.